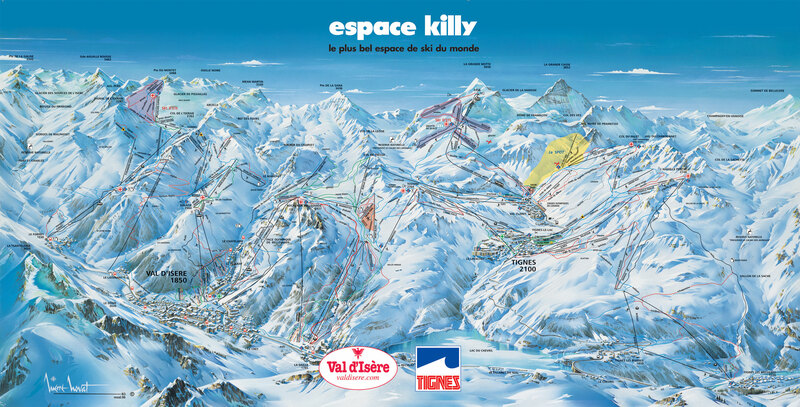 View the current piste map of Val d'Isère below. A piste map always gives a good impression of the ski area, the number and layout of the ski lifts and the ski slopes. 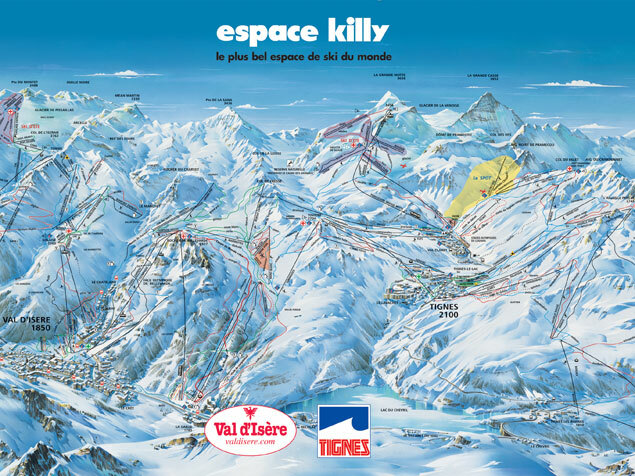 The piste map of Val d'Isère in Tignes-Val d'Isère shows access to the ski resort and any connections with other ski areas and ski resorts.